8th International JTEFS/BBCC Conference "Sustainable Development. Culture. Education"
8th international annual conference “Sustainable Development. Culture. Education” of Journal of Teacher Education for Sustainability (JTEFS) and Baltic and Black Sea Circle Consortium in Educational Research (BBCC) was held in Paris (France) on May 17-19, 2010. The conference was organised in cooperation with UNESCO/UNITWIN Network for Reorienting Teacher Education to Address Sustainability at York University in Toronto, Canada. This year the conference preparation process was marked by selfless and tireless efforts contributed by the team of the Institute of Sustainable Education (Daugavpils University, Latvia) who worked in close cooperation with UNESCO. 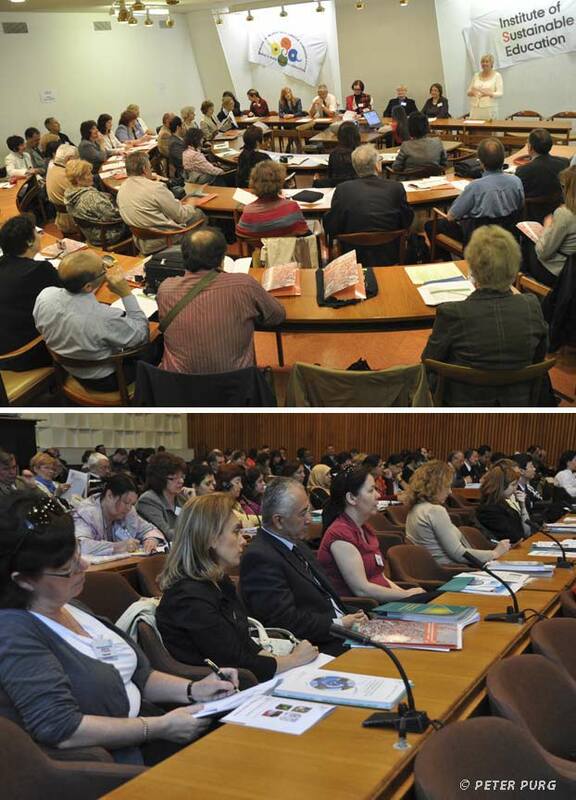 8th international JTEFS/BBCC conference, which was held at UNESCO headquarters in Paris, welcomed 100 participants from 24 countries – Latvia, Lithuania, Estonia, Finland, Norway, UK, Ireland, USA, France, Italy, Spain, Greece, Turkey, Malta, Hungary, Slovenia, Poland, Belarus, Bosnia and Herzegovina, the Republic of South Africa, Costa Rica, Iran, Malaysia and Kenya. Thus the conference united researchers and practitioners in the sphere of education for sustainable development from almost all parts of the world – Europe, Asia, Africa, South America and North America. 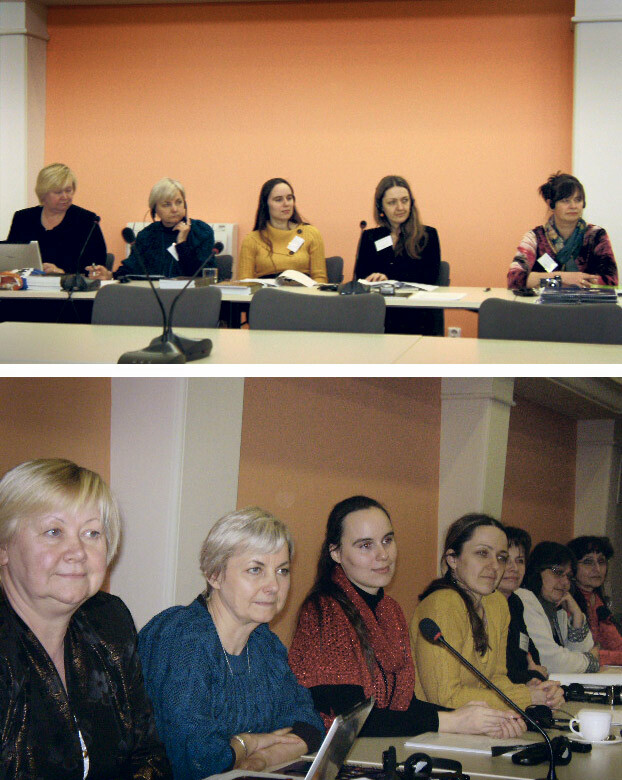 The conference was highlighted by celebrating the 5th anniversary of the Baltic and Black Sea Circle Consortium in Educational Research, which was founded during the 3rd JTEFS/BBCC conference in 2005. The participants looked back on the work done and sought future perspectives. During the next five years BBCC intends to recruit new member states and focus more specifically on creating internal national networks. The sub-theme of the conference this year was “BBCC Mission – Reorientation of Teacher Education and Research in Education for Sustainable Development”, which encouraged a great diversity in the papers and reports under the suggested sections of the conference. The main emphasis was put on the sustainable development of teacher education and research as its underlying basis. The proposed sections permitted the participants of the conference to evaluate the diversity of their experiences in the context of education and sustainable development, to exchange and share ideas, present their research results and introduce new research and development projects in the area. The highlights of the conference opening on May 17 include the welcoming speech from the president of the Baltic and Black Sea Circle Consortium in Educational Research (BBCC) prof. Ilga Salite (Daugavpils University, Latvia), which was followed by greetings from other BBCC board members from Estonia, Finland and Costa Rica. Conference opening was also attended by the general secretary of Latvian National Commission for UNESCO Ms Dagnija Baltina and the ambassador of the Republic of Latvia in France Mr Janis Karklins who also gave welcome to the conference participants. The opening ceremony was followed by work in the plenary and paper sessions in eight conference sections (see conference programme). On the final day of the conference (May 19), all participants joined the symposium of the International Network of Teacher Education Institutions Associated with the UNESCO Chair on Reorienting Teacher Education to Address Sustainability, which was attended by the members of BBCC and the UNESCO/UNITWIN Network for Reorienting Teacher Education towards Sustainability as well as by UNESCO representatives and delegates from national UNESCO commissions of approximately 50 countries. In his speech UNESCO Chair on Reorienting Teacher Education to Address Sustainability, prof. Charles Hopkins, specifically emphasised the contribution of the Baltic and Black Sea Circle Consortium in Educational Research (BBCC), and particularly its president prof. Ilga Salite in implementing the reorientation of teacher education both in theory and practice. One of the key events of the 8th international JTEFS/BBCC conference “Sustainable Development. Culture Education” was the presentation of the latest issue of the Journal of Teacher Education for Sustainability (JTEFS) (http://versita.com/science/education/jtes/) and the celebration of the first issue of the newly established international, peer-reviewed scientific journal Discourse and Communication for Sustainable Education (DCSE). DCSE Journal is issued by the Institute of Sustainable Education (Daugavpils University, Latvia). It has a broad thematic scope and is characterised by the diversity of research theories, approaches and methods, which makes it a platform for communication and exchange of experiences among researchers from different countries about the theory and practice of sustainable education. 9th international JTEFS/BBCC conference “Sustainable Development. Culture. Education” will be held on May 18-21 in Siauliai University, Lithuania. Everyone who is interested in participating and joining the Baltic and Black Sea Circle Consortium in Educational Research (BBCC) is most welcome to attend it. On February 10 – 12 the team of the Institute of Sustainable Education (ISE) took part in the 8th international conference “DIMENSIONS OF CITIZENSHIP & EDUCATION” in Bratislava, Slovakia. The conference was also dedicated to the 20th anniversary of the Faculty of Education of Comenius University in Bratislava. ISE was represented at the conference by its director asoc. prof. Dzintra Iliško, dean of the Faculty of Education and Management (Daugavpils University) prof. Ilga Salīte, as well as several doctoral students of pedagogy – Ms Olga Grišāne, Ms Ginta Gedžūne and Mr Eugeniusz Switala. The conference was also marked by strengthening the international cooperation with the Institute’s BBCC and ENERCE network partners, examining new areas of research related to Civic Education in Europe, as well as discovering new possibilities for international partnership and inquiry. 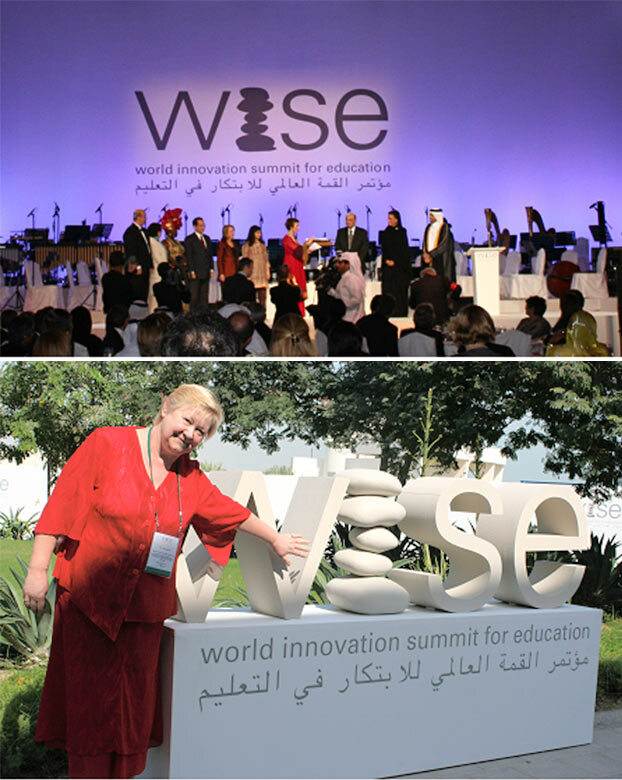 On November 15 - 19, 2009, prof. Ilga Salīte from the Institute of Sustainable Education took part in the World Innovation Summit for Education (WISE 2009) which was held in Doha, Qatar. Among the summit speakers were the president of the World Innovation Summit for Education (WISE) Dr. Abdulla bin Ali Al-Thani, Mr Gerhard Schröder (former Chancellor of Germany), Mr Kiyotaka Akasaka (UNO), the patroness of the Summit Her Highness Sheikha Mozah Bint Nasser Al Missned, prof. Sheikha Abdulla Al Misnad (rector of Qatar University), Mr Anthony Salcito (vice-president of Microsoft), Mr Biz Stone (co-founder of Twitter), Mrs Irina Bokova (Director-general of UNESCO) and other prominent people from all over the world who have created or supported development of innovation in education. One of the main outcomes of the Summit was the formulation of the principles for the development of education. The mission of WISE programme is related to the 21st century challenge for education. An invitation was expressed to continue cooperation in the sphere of educational innovations in the inter-disciplinary WISE network which was established on the 1st WISE Summit. Within COMENIUS project “Inspire School Education by Non-formal Learning” (INSPIRE) project team members - four lecturers from Daugavpils University - take part in a project closing seminar which is organized by Leverkusen (Germany) Competence Centre of Education for Sustainable Development (Förderverein NaturGut Ophoven e.V.). After that the project group from Latvia, represented by a cross-faculty team from Daugavpils University (prof. A.Pipere - Faculty of Education and Management, prof. A.Salītis - Faculty of Natural Sciences and Mathematics, asoc. prof. I.Kokina - Faculty of Education and Management, doc. L.Jonāne - Faculty of Natural Sciences and Mathematics) will go to Hamburg where they will participate in the 3rd European Fair on Education for Sustainable Development “Renewable Energy and Climate Change: Thematic Challenges to European Schools and Universities”. NSPIRE project was implemented in Germany, Poland and Latvia with an aim to promote development of non-formal education in the field of renewable energy and climate change. During two years’ work within this project its participants analysed the current situation regarding non-formal energy education in three project partner states, developed and approbated 15 innovative teaching modules for primary and secondary school about climate changes and renewable energy, which involve integration of formal and non-formal learning, as well as developed and approbated teacher training courses that provide teachers with information about the project and practical use of the innovative teaching modules. 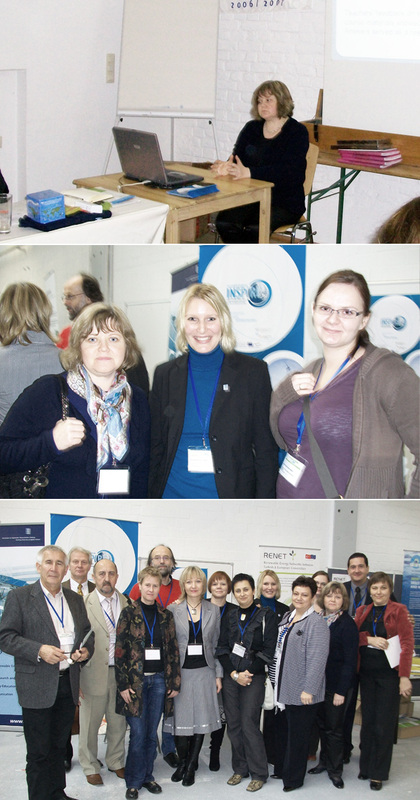 On October 23, 2009, in Riga (Latvia) the award ceremony of the competition “Environmental Science Awards 2009”, which was organized by Environmental Science and Education Council, was held at the headquarters of the Ministry of Environment. The Institute of Sustainable Education was awarded a special prize for significant contribution to environmental science. The goal of the “Environmental Science Awards” is to promote environmental science and education in Latvia by informing the wider public about the eminent personalities who develop the platform of environmental science and education in our country.